Hase Temple in Kamakura | Why don't you go on a trip to Japan? I took a train from Kamakura Station but the platform of the station was crowded with people waiting for the train on Enoden line. Passengers waiting at the next station didn’t get on the train. 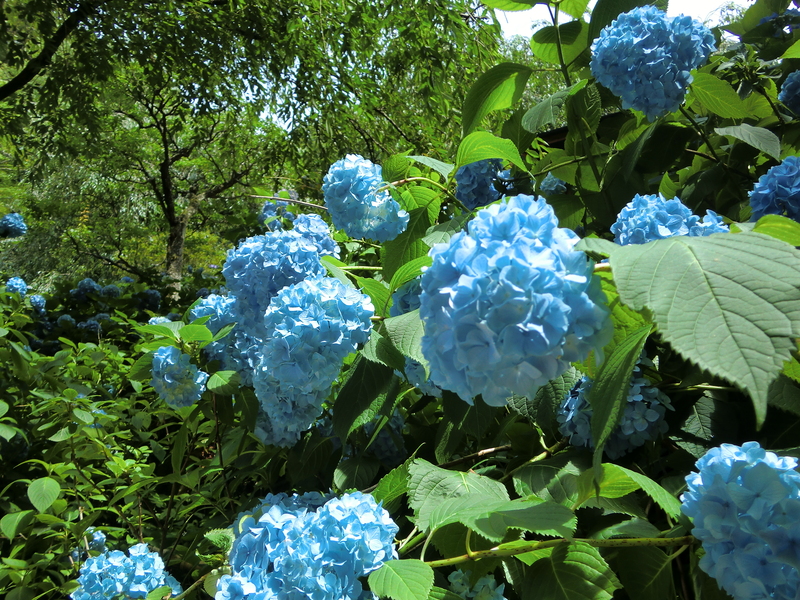 I realized that a large number of tourists visit to Kamakura not only on a season of autumn leaves but also on a season of hydrangea. 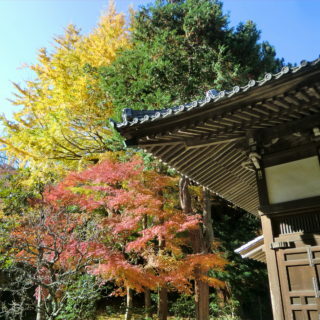 Especially recently, I feel that there are many foreign tourists anywhere in Japan. I think it is good for Japan to success inbound field. Because Tokyo Olympic Games and the Paralympic Games will be held on 2020 in Tokyo so it is expected that the number of foreign tourists coming to Japan will increase further toward at 2020. 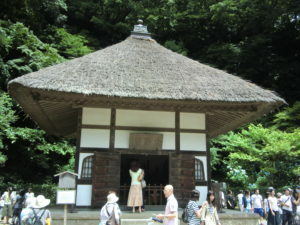 Getting back to the story of the temple, I got off the train at Hase station and went to the temple. Around Hase station, there are Kōtoku-in temple which is famous for statue of Great Buddha called Daibutsu. And there are cafes, small modern restaurants, souvenir shops along the street. You can also go to a beach 5 minutes by walk. Anyway, when I arrived the temple I found the sign in front of the gate and it says “Waiting for three hours or more viewing hydrangea flower.” I gave up viewing flowers there. Actually I was able to buy a ticket to enter the temple but I have to line up to view the hydrangea flower garden in the temple more than three hours. That’s terrible! Off course I didn’t. 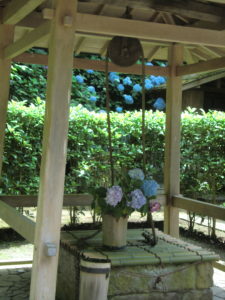 Because Hase temple is one of the most famous hydrangea spot, tourists gather into the temple in that season. But there are more temples as a hydrangea viewing spot around Kamakura area such as Engaku-ji, Tokei-ji and Kencyo-ji Temple. Leaving Hase temple, I took a train of Eno-den line again and got off at Gokuraku-temple station. Around the station there are colorful hydorangea such as pink, blue, white and purple. 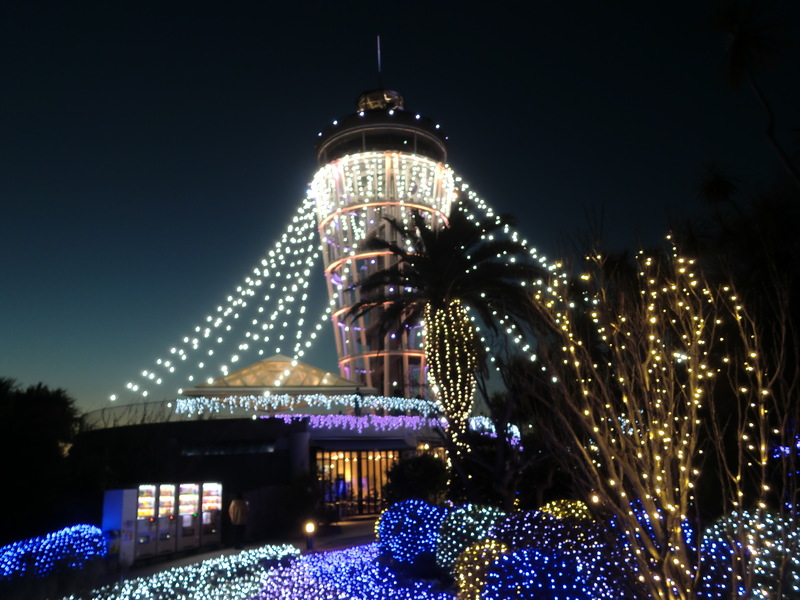 And then I went to Inamuragasaki, there is Kamakura Ocean-side viewpoint. 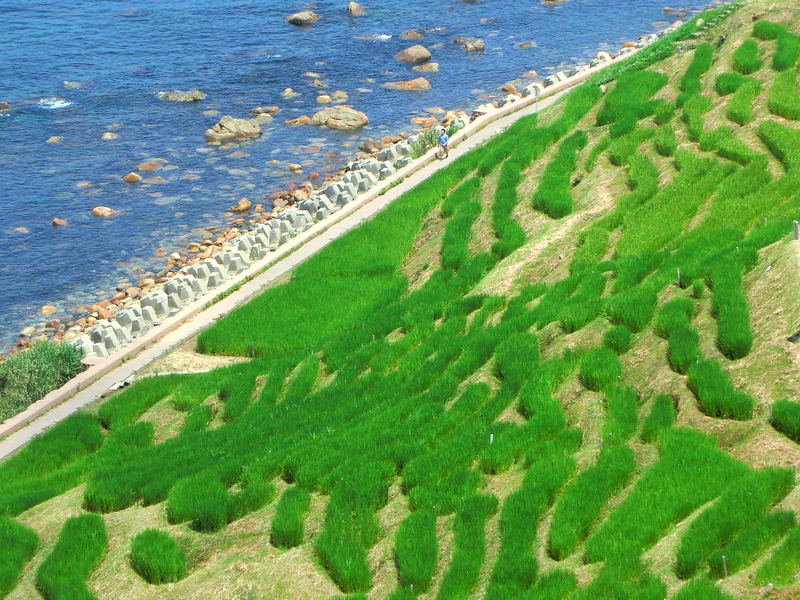 You can enjoy both hydrangea flowers and viewing Enoshima island.